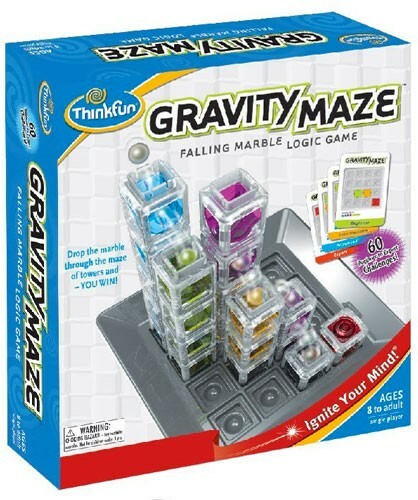 A Mighty Girl's top picks of logic games to challenge kids of all ages! 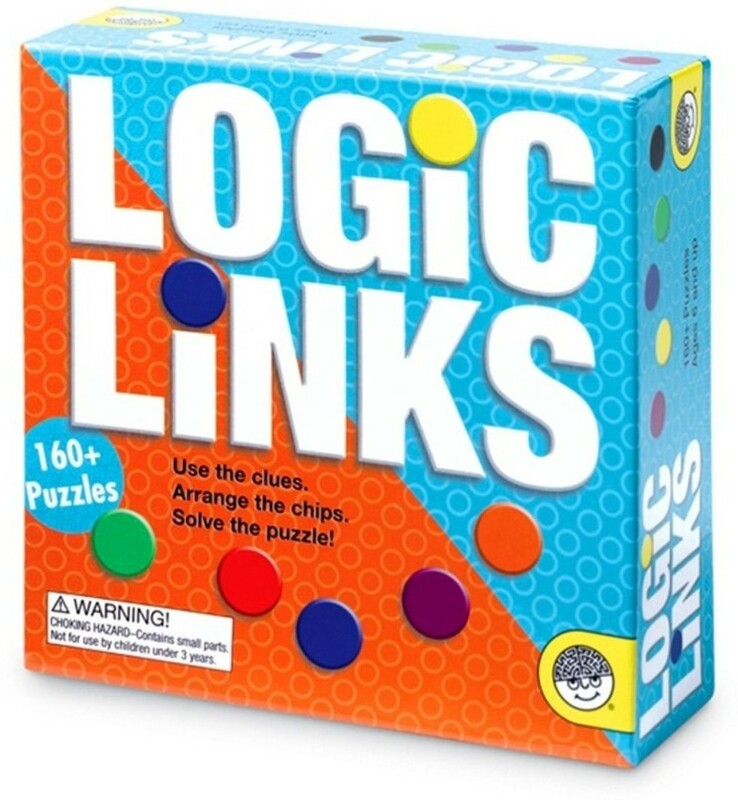 There's nothing better for challenging the brain than a good logic game! Whether you're going head to head against another player, or challenging yourself against the puzzles the game has to offer, these games keep players thinking and push their limits. 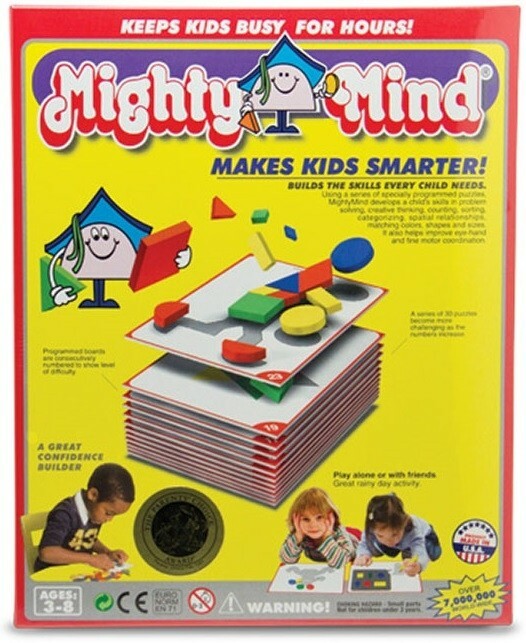 Sure, they're great for teaching logic skills and deductive reasoning, but people play them because it's so much fun! With that in mind, we've put together a selection of our favorite logic games. 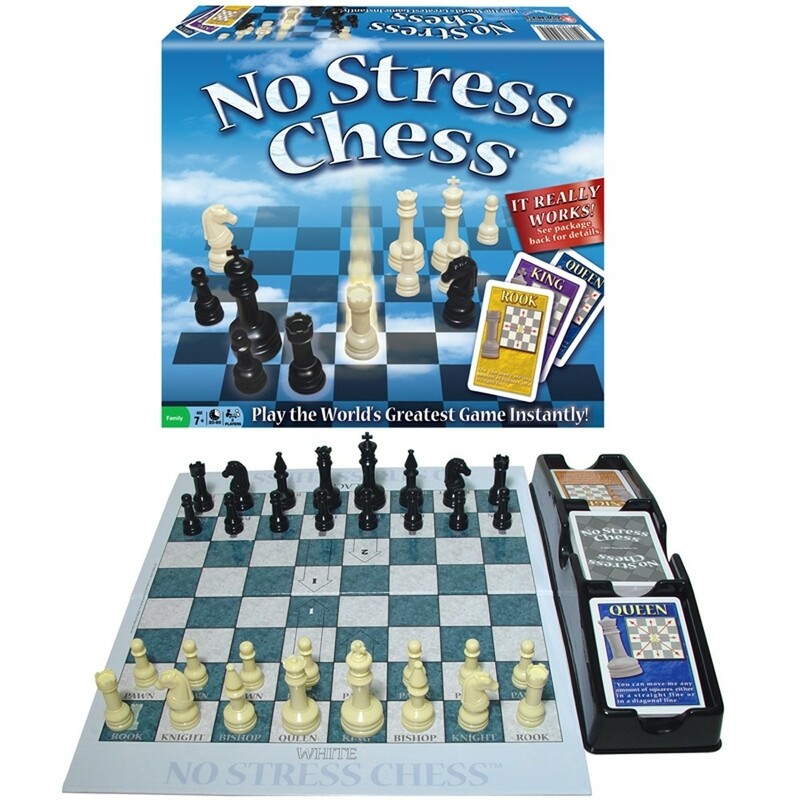 From long-time favorites (chess anyone?) to unique new options, there's sure to be a game here to keep your Mighty Girl happily playing away for hours. 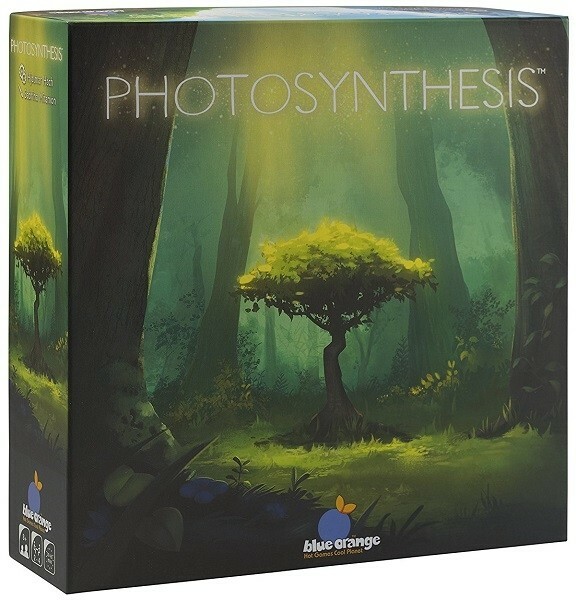 For a wide variety of board games, cooperative games, single-player games, competitive party games, and more, visit our extensive Games Collection. 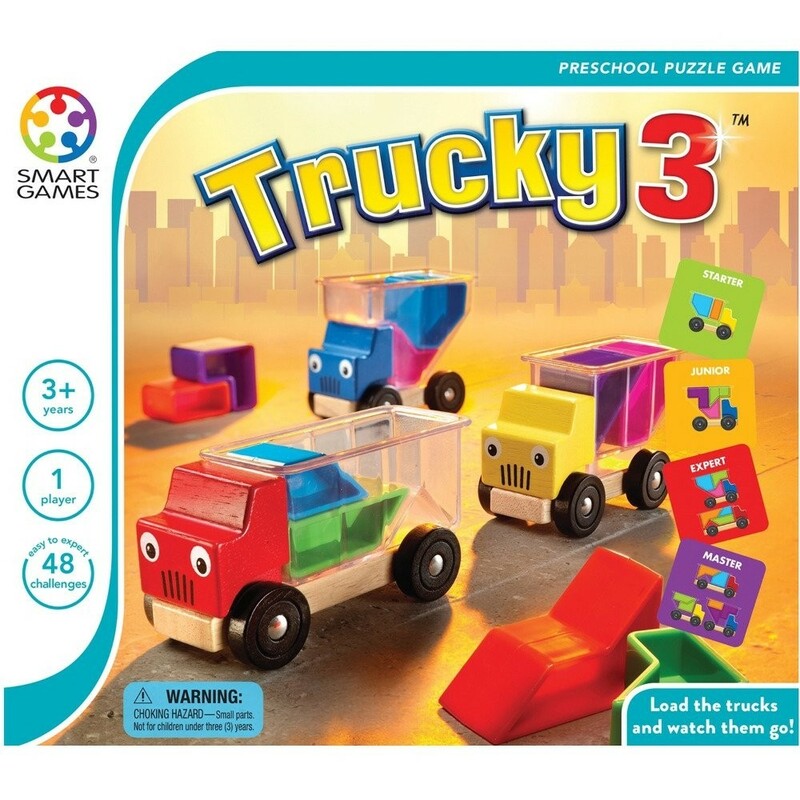 These 3D truck puzzles from SmartGames grow with your child to keep little wheels turning! 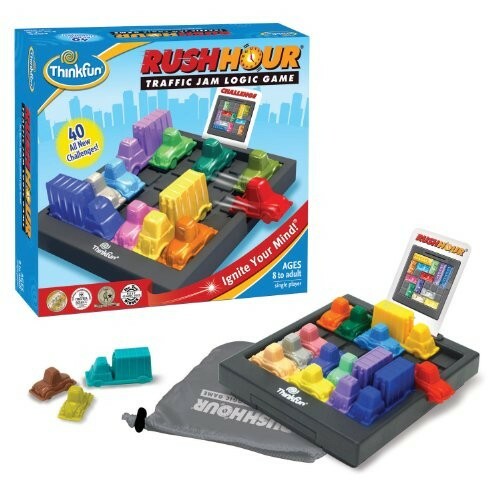 At the beginning, kids will just play with them like any vehicle toy, but as they get older, they can start to test themselves with the brainteaser: loading the trucks with uniquely shaped colorful cargo pieces so that nothing pokes out on top! Three trucks, 48 challenges, and four skill levels allow this puzzle game to go the distance and keep her playing for years to come. Once upon a time... a fairy tale themed puzzle game provided hours of fun! 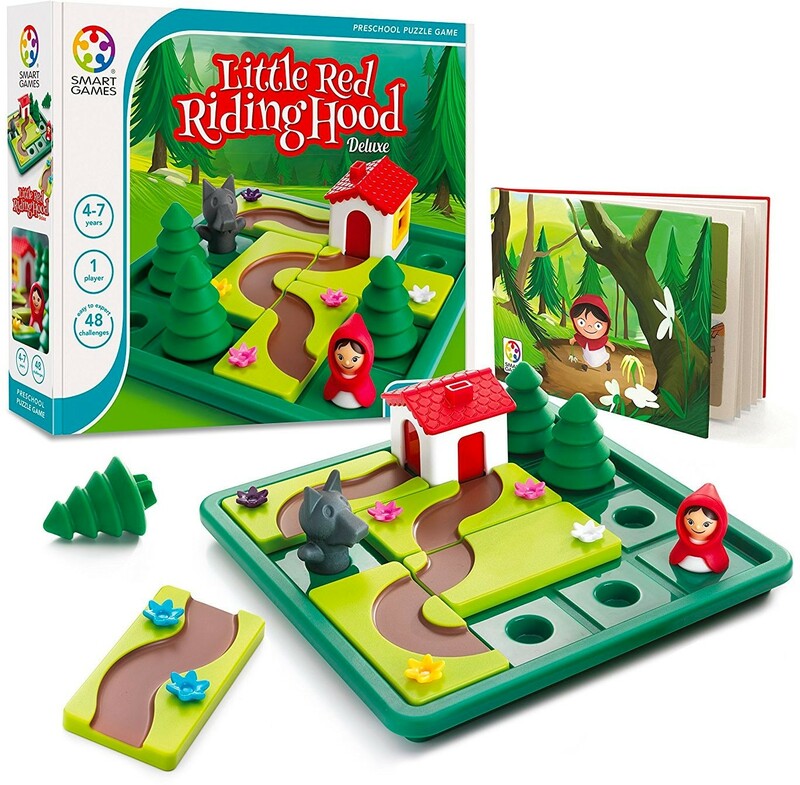 In Little Red Riding Hood from SmartGames, kids lay their puzzle pieces onto the board to create Red's path to the cottage. At first, they just have to get Red there, but as they progress through 48 challenges, they also have to figure out how to out-smart the wolf when he appears. Little Red Riding Hood also includes a family-friendly picture book with a special 'twist' on the original tale. 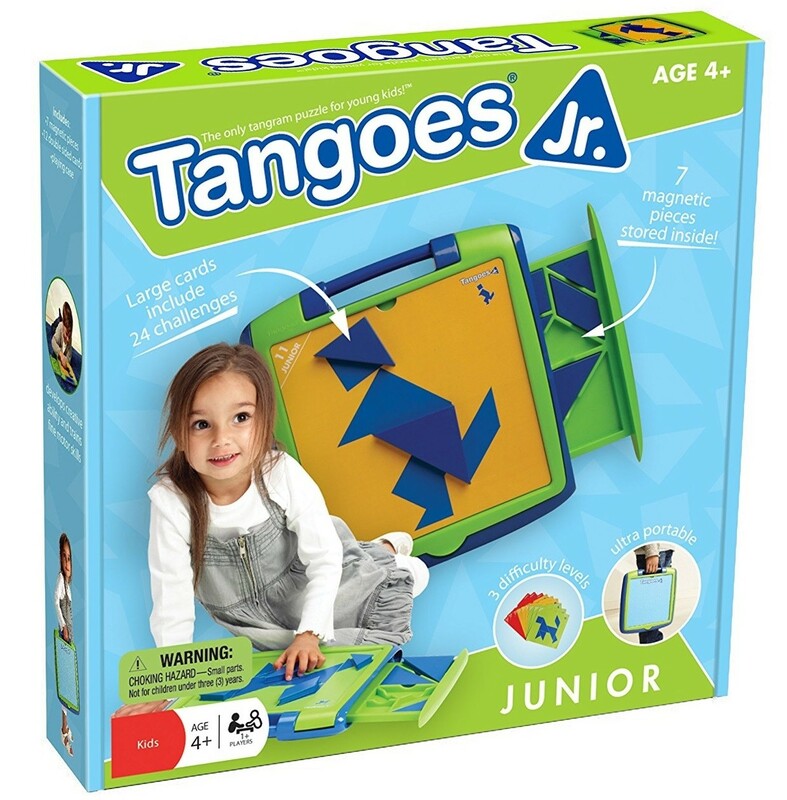 With this Tangoes Jr. set, kids can take tangram fun on the go! The portable case contains seven shapes and 12 two-sided design cards. Kids use one of two levels of difficulty as they try to copy the design on the card: in the simpler version, the outline of each puzzle piece is included, while the advanced side only shows the shape in silhouette. And since the pieces are magnetic, they stay put, so kids don't have to worry about bumps in the road. 20 chunky, colorful plastic shapes make up the foundation of this intriguing game from Learning Resources. Kids can recreate what's on the challenge cards themselves or, for an additional level of difficulty, describe the card to others to see if they can build the image. It's a great way to practice critical thinking and following verbal instructions, all while having block-building fun! 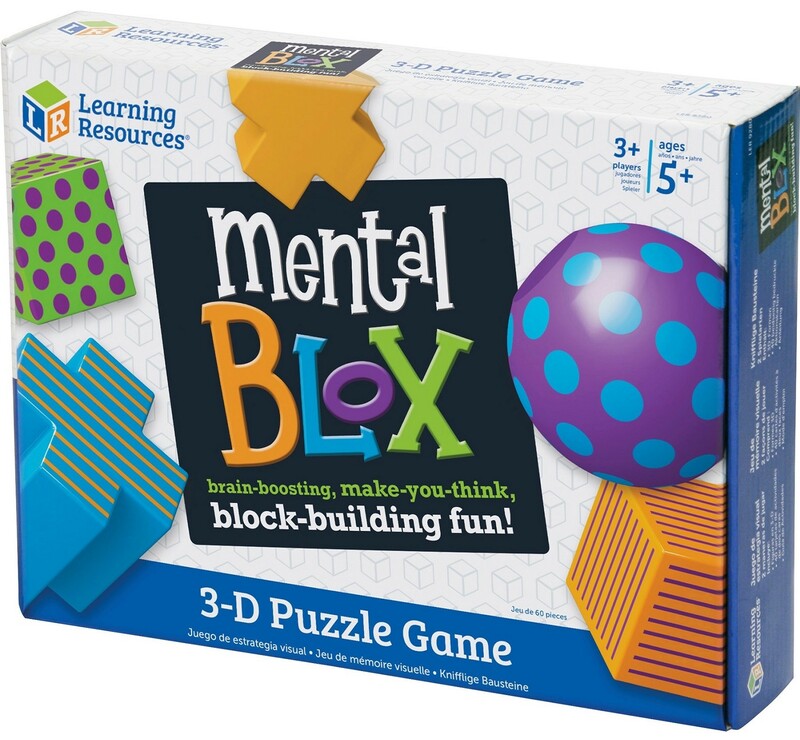 Fans of this game can also get the simpler Mental Blox Jr. for kids aged 4 to 8. Balance the beans and win — and learn about elementary algebra along the way! 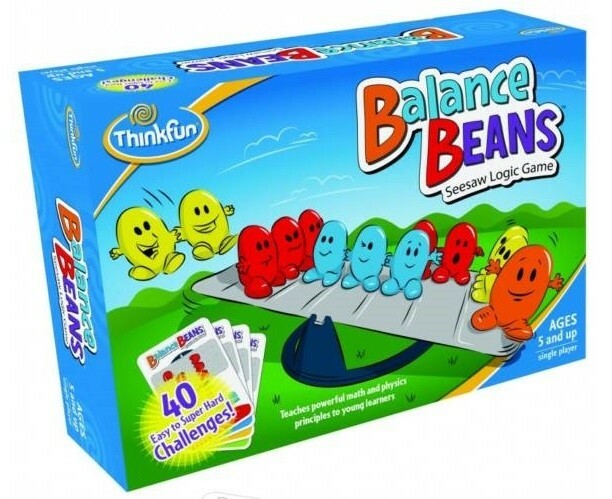 With this game from ThinkFun, kids place rows of beans onto the scale, with the goal of balancing it out. Place the red beans to match the challenge on the card and see if you can figure out the solution! As kids progress through the challenges, they'll solve less through trial and error and more through math and reasoning skills. With challenges ranging from Easy to Super Hard, they'll be balancing for hours! 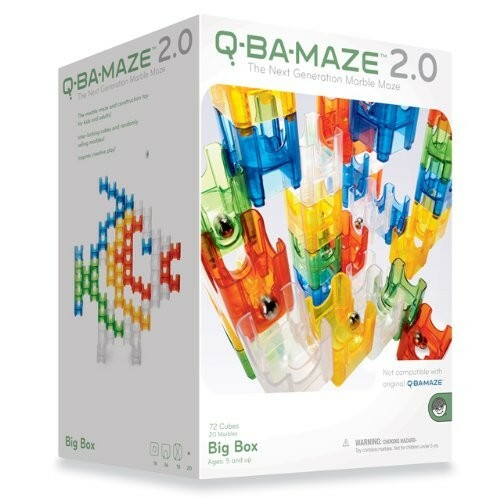 Challenge yourself — or a partner — with this ever-changing puzzle game from Gigamic! 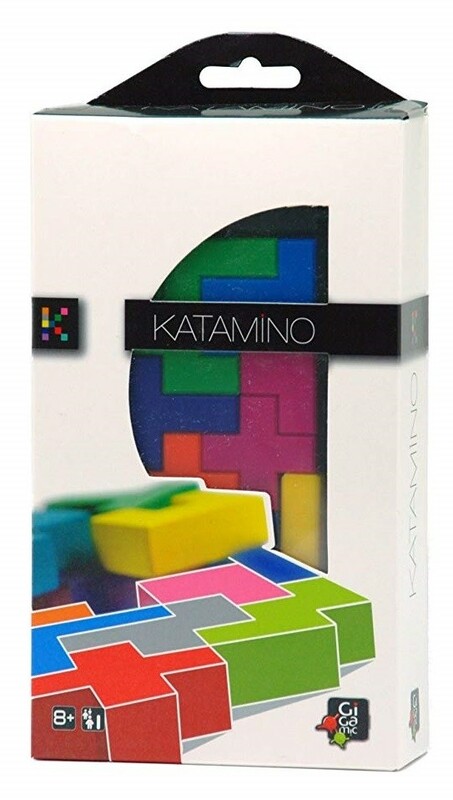 In Katamino, you use pieces called pentaminos to create perfect units called pentas. It sounds simple, but the game becomes harder as the number of pentaminos used increases... there are thousands of possible combinations! 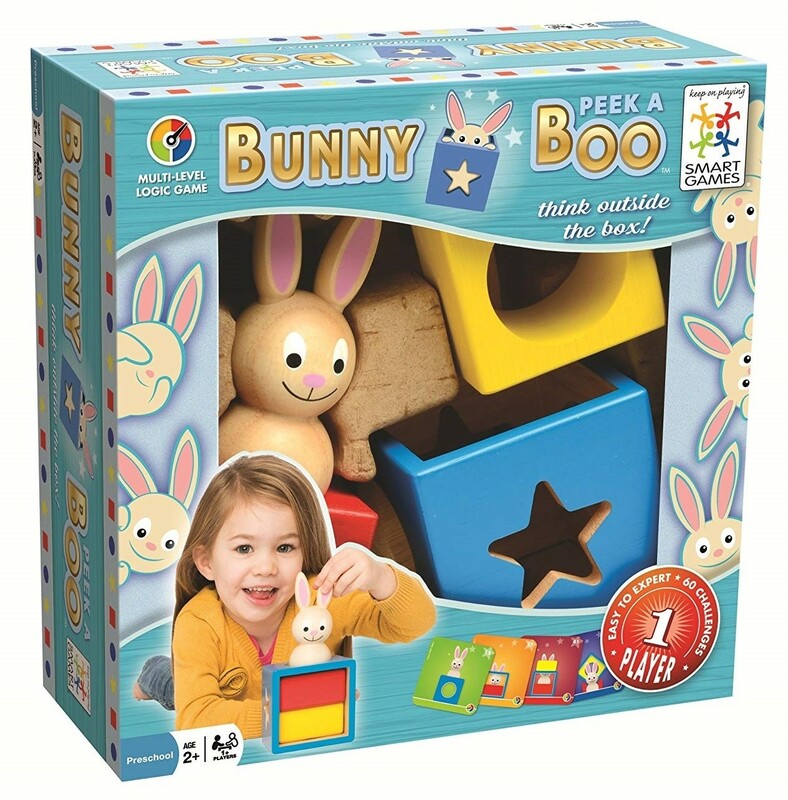 The game comes with twelve pentaminos, as well as instructions that include over 500 puzzles to solve and a locking game board that lets you take your fun on the go. 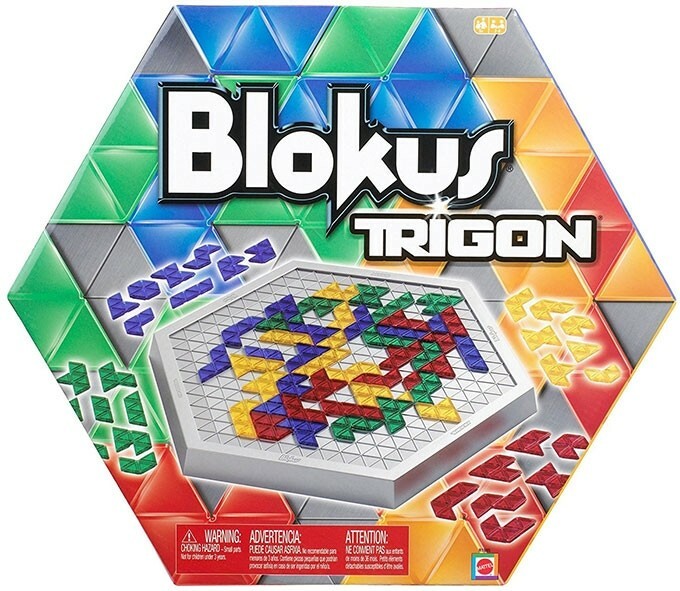 The game Blokus gets a triangular twist with Blokus: Trigon from Mattel! Your goal is to cover as much of the board as you can; new pieces you lay down must touch another piece of the same color, but only at the corners. With triangular pieces and a hexagonal board, this game for 2 to 4 players is a fun strategy game that's easy enough for kids to learn but provides plenty of challenge for adults, too. 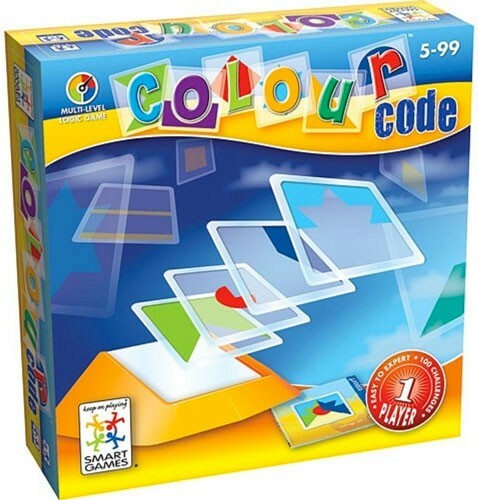 In this unique game from SmartGames, you have to duplicate the multi-colored shapes on the challenge cards. Sound simple? The challenge is doing it by layering see-through tiles with single-color shapes on them! As the patterns get more complex, you'll have to choose how to layer the tiles carefully. This clever puzzle game includes 100 progressive challenges to tease your brain and develop your spatial skills. 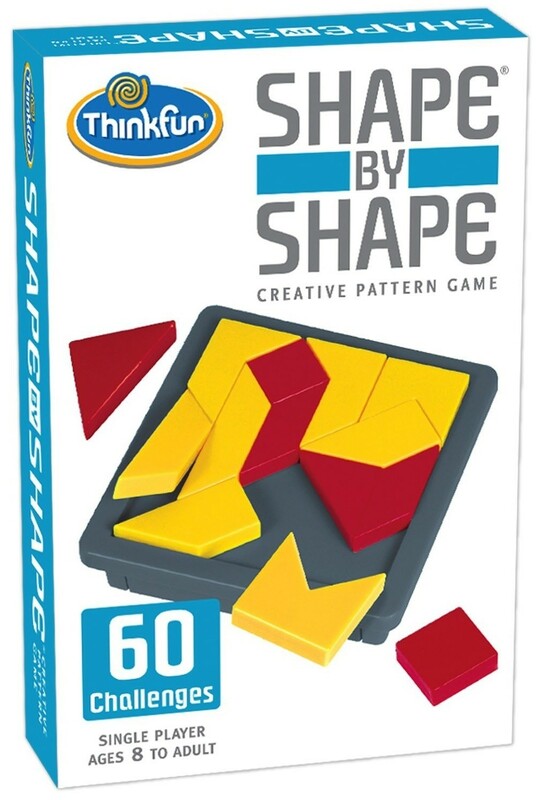 Take tangrams to the next level with Shape By Shape from ThinkFun! In this game, in addition to creating a shape, you also fill inthe frame around the shape you make, adding a new level of complexity to a classic style of play. Sixty challenge cards ranging from simple to expert keep the game interesting, and young players will love that the cards and the 14 puzzle pieces all fit in a Game-Go bag for easy transportation. Fans of this game can also check out Brick By Brick for even more puzzling fun. 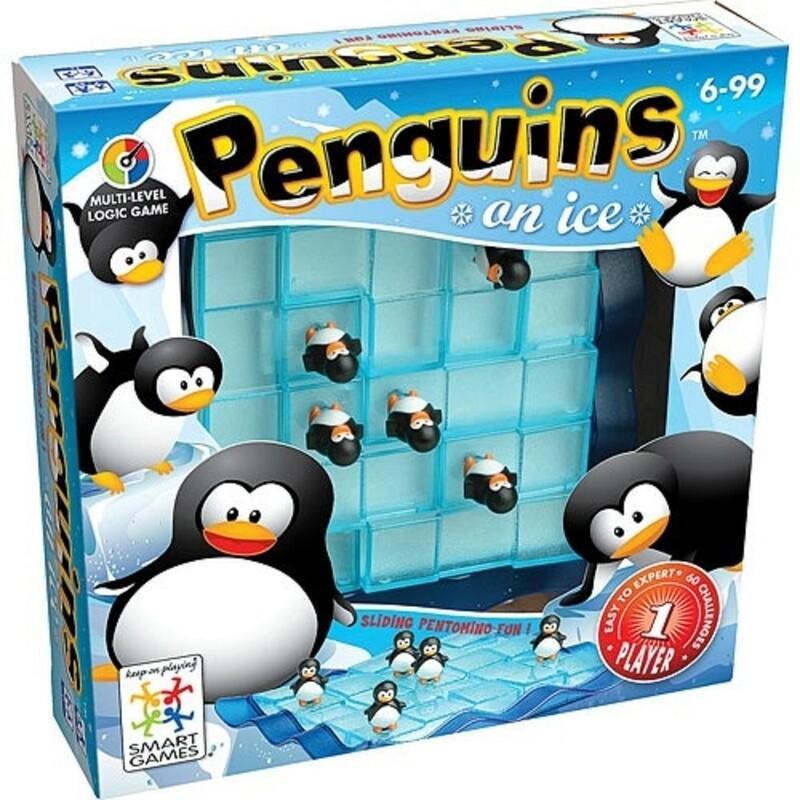 Five penguins are on a slippery slope in this game from SmartGames! The five pentamino ice floes each have a penguin riding on them. As an added twist, the ice floes can slide — with the penguins aboard. Can you pack the ice so that every puzzle tile can fit on the game board? Can you also make sure that all the penguins are in the right spot? 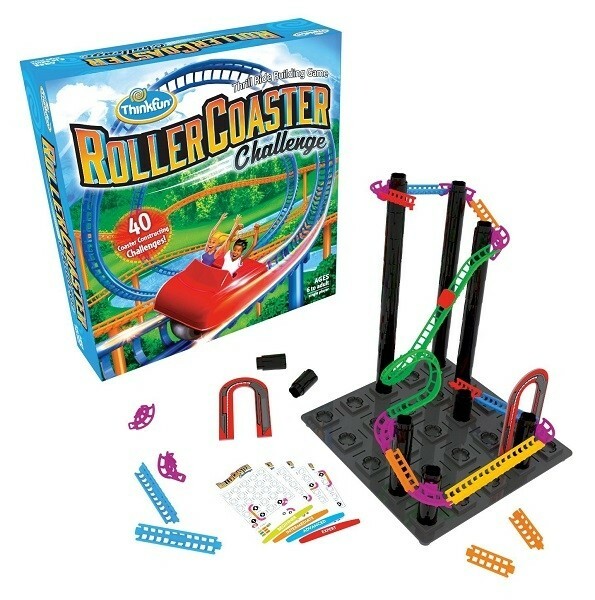 The game comes with 60 challenges to tackle, gradually increasing in difficulty, for a unique gameplay experience kids will love. 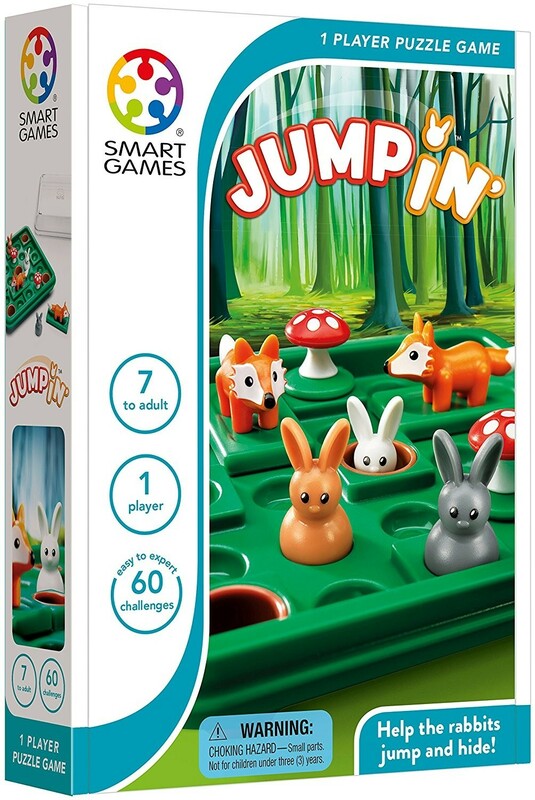 You'll have to think sideways, backwards, right, left, up, and down with this game from MindWare! In Logic Links, a series of clues guide the player on where to place colored chips to solve a puzzle. There is one and only one correct answer, so make sure you pay careful attention! 166 puzzles using 32 plastic game chips will give you plenty of challenges to keep your brain busy, building your visual and spatial skills all the way! 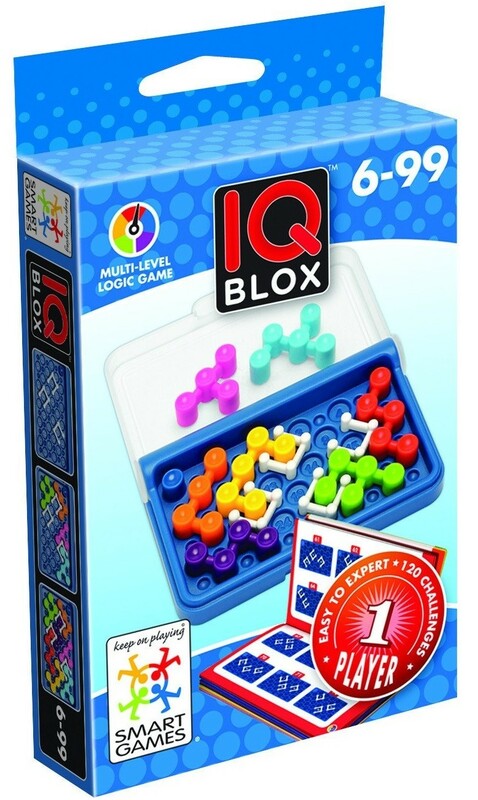 In IQ Blox from SmartGames the walls don’t block... they help you find the solution. Fill in the board with the pieces shown in the booklet; the walls will help guide you. Because of the unusual shapes of the pieces, this game rapidly gets more challenging — and with 120 challenges from easy to expert difficulty included, you'll be able to challenge your brain for quite some time with this game! Plus, it comes in a handy travel case, perfect for taking it on the go. 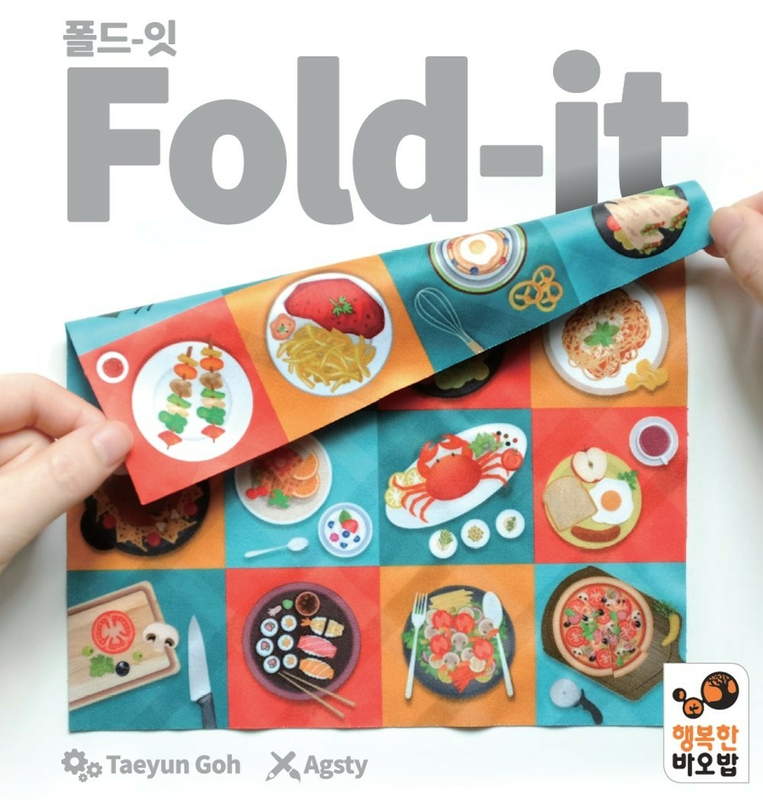 Fold-It from ThinkFun is a unique fabric-folding strategy game that's simple to learn but difficult to master! Turn over an order card to reveal the meals you need to "cook," then fold your recipe cloth so that only the items displayed on the card are visible. When you finish the order, grab a fold-it token; make the order wrong, or end up the last to finish an order, and you lose a Star token. Be the last player left with Star tokens and you win! Both basic and advanced order cards are included, so you can play over and over and still face a challenge. 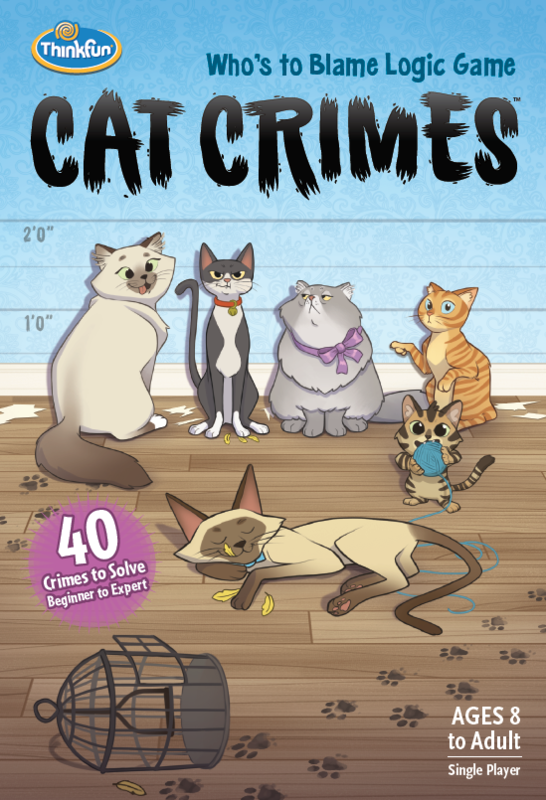 Manufacturer: Mad Cave Bird Games LLC. 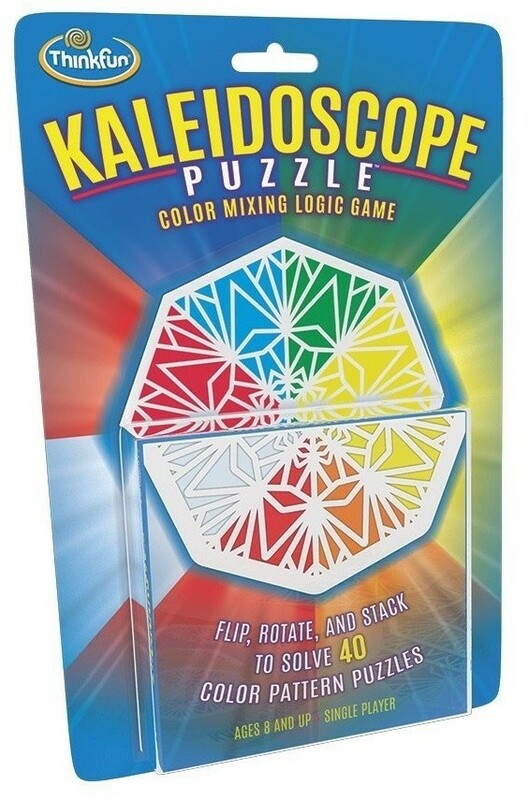 Create vivid kaleidoscope patterns in this dazzling logic puzzle from ThinkFun! Your goal is to rotate, flip, and stack a combination of the six transparent Kaleidoscope Tiles to match the patterns shown on the challenge cards. To find the solution, you may have to overlap colored sections, "mixing" the colors to create a new one! Forty challenge cards range from beginning to expert difficulty, providing hours of beautiful color-matching puzzles she'll love. Flip, twist, and spin Perplexus' transparent sphere to move the ball along the numbered path, working with and against gravity. But be careful — move it the wrong way and your ball will go off course, and you'll have to start over! 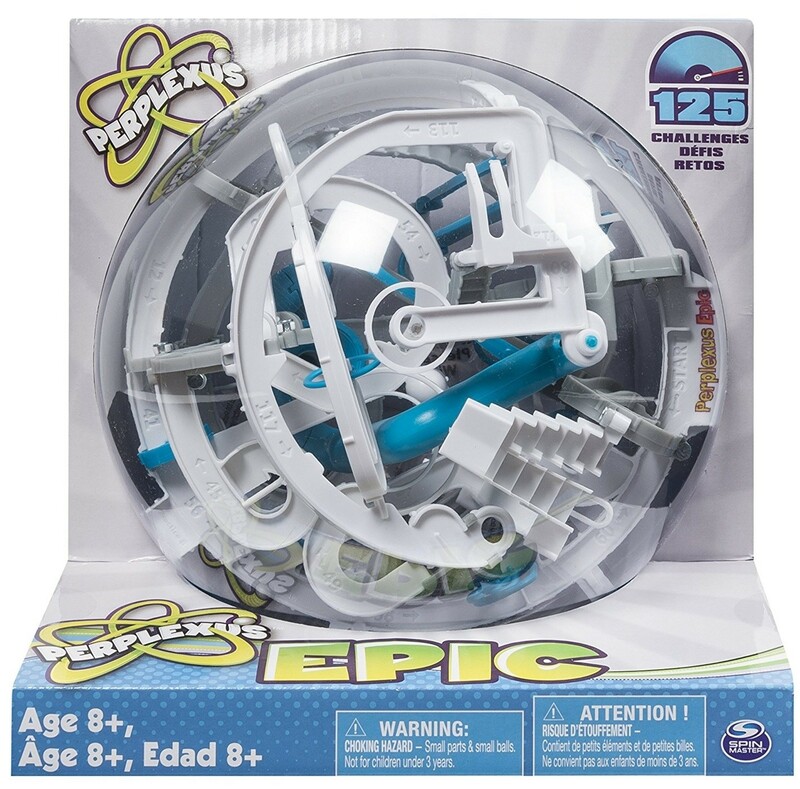 The Perplexus Epic from Spin Master includes 22 feet of track and 120 barriers to pass in order to complete the maze, making it a can't-put-down challenge. 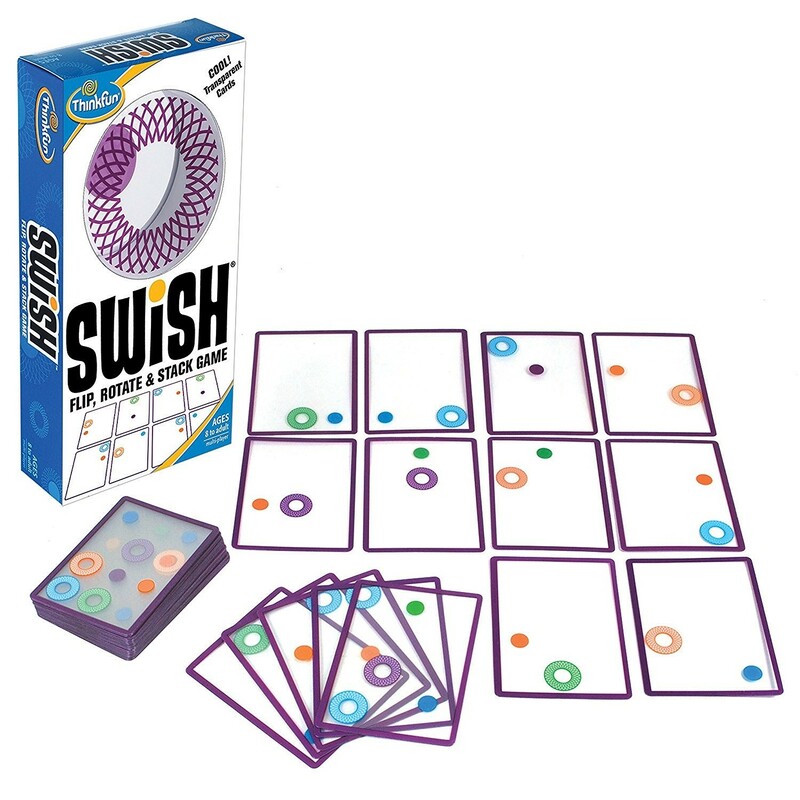 It'll take some clever thinking to win more "swishes" than your opponent in this spatial card game from ThinkFun! The goal is to stack as few as two, or as many as twelve, of the transparent cards so that every ball matches with a hoop of the same color. The player with the most matches at the end of the game wins! Sixty transparent cards provide plenty of fodder for this game, and it also includes rules for several levels of play — plus it all fits in a game-go bag for travel fun. 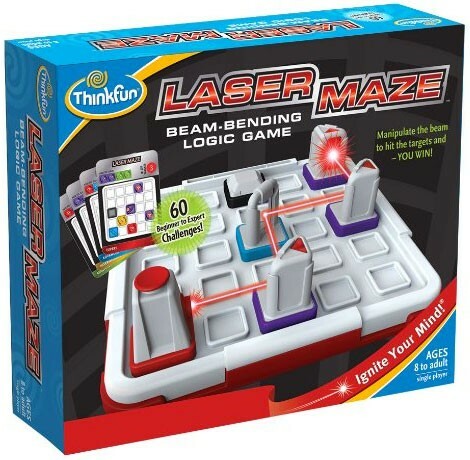 Lights and mirrors may make it feel like magic, but it's really science and a good dose of brain power that's needed to direct the laser beam through this series of mind challenging mazes. 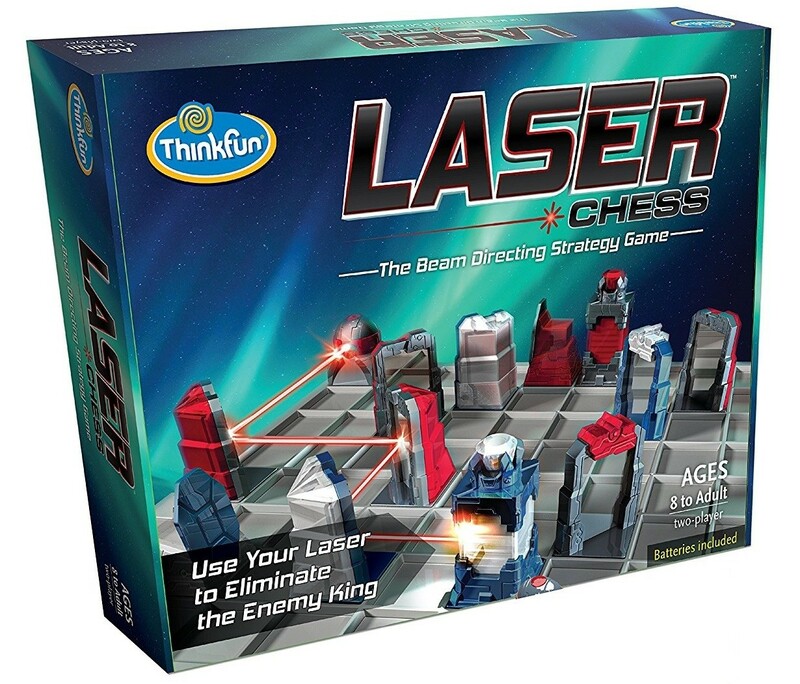 In this game from ThinkFun, kids have to place mirrors, splitters, and more in the right places to light up one (or more) targets. Sixty challenge cards gradually grow from beginning to expert level. 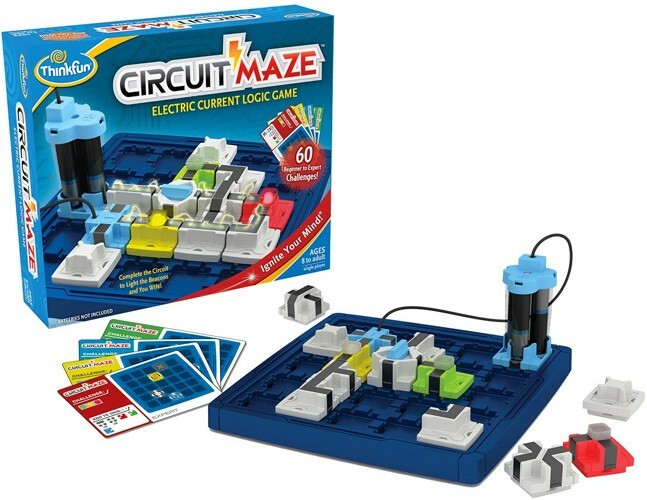 Your Mighty Girl will love working her way through the hardest mazes — and designing her own! 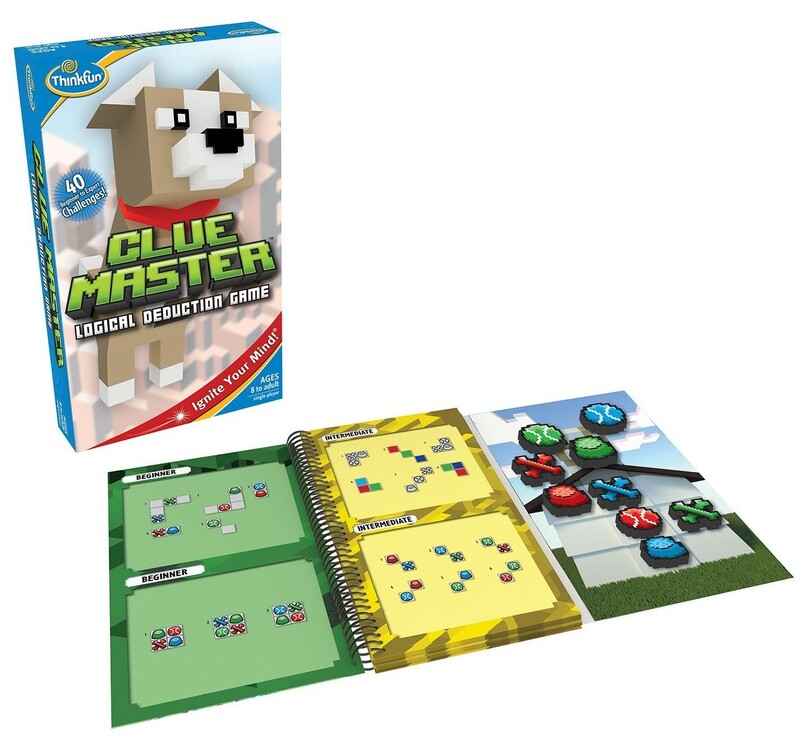 Help Tippy the dog get back into his doghouse in this game of deductive reasoning from ThinkFun! To unlock his secret doghouse door, Tippy needs to put his toys and food bowls in the proper arrangement. Kids will look at clues about the shape and color of the pieces they need to put into place, and use those hints to figure out where each pieces should go. Forty challenges start easy and build in difficulty! 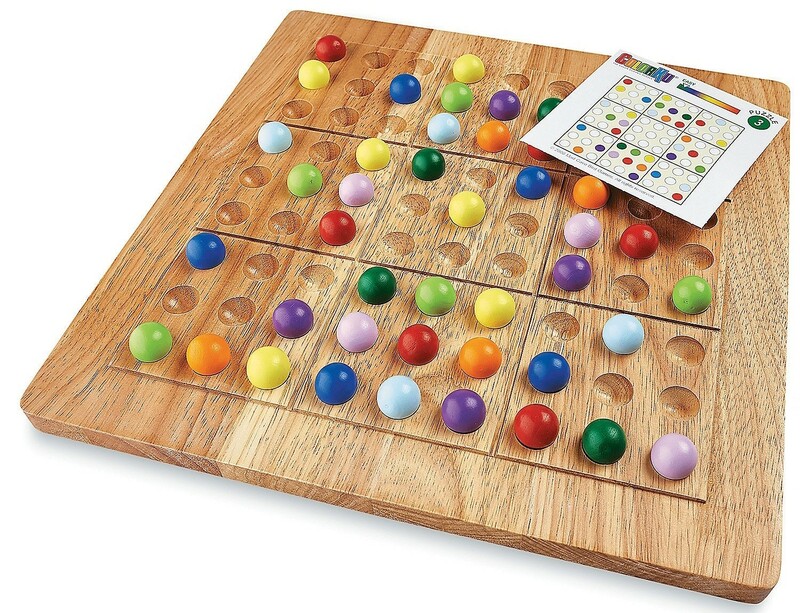 Plus, this game's magnetic pieces and compact manual and game board make it easy to take on the go. Hive from Gen42 Games is a board game with a difference: there is no board! Two players build the board by laying their insect tiles down; each insect has its own rules about how it can move. Your goal is to surround your opponent's Queen Bee and capture her! 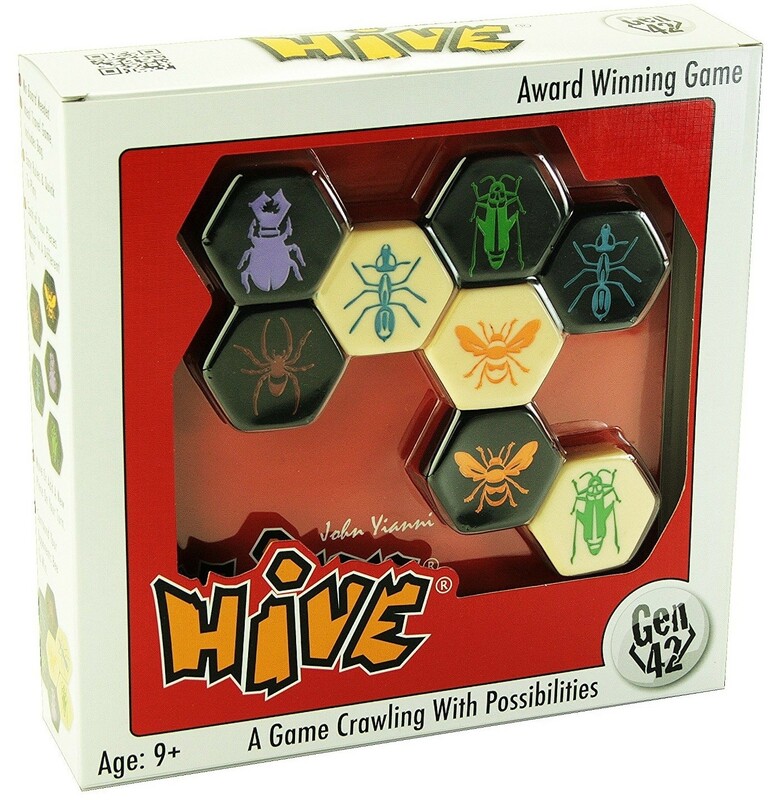 Easy to learn and complex to master, you can even build on this game with expansion packs that add new insects — or pick up Hive Pocket for strategic fun on the go. For more games to challenge your brain, visit our entire Logic / Spatial Games Collection. If you're looking for other themed games for game night, check out our blog posts on our Cooperative Games for Mighty Girls and on Science and Math Games for Mighty Girls. And for more games, toys, kits, and more to entertain and educate kids, teens, and adults, visit our Toy Collection.